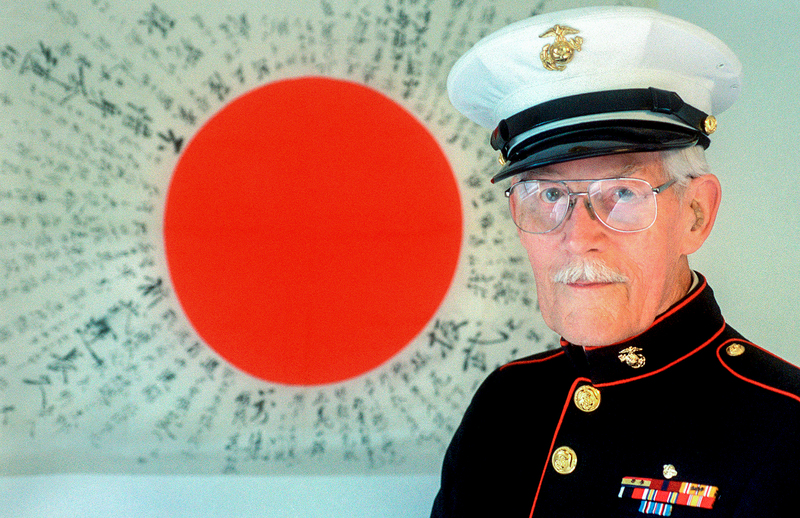 U.S. Marine veteran Scot Kinsman, 78, of Peoria poses with the flag he took from the body of a Japanese soldier during the WWII Battle of Tarawa in 1943. Satanist and Goth punk Andrew Greenway and girlfriend Jodi Richardson in Mackinaw. 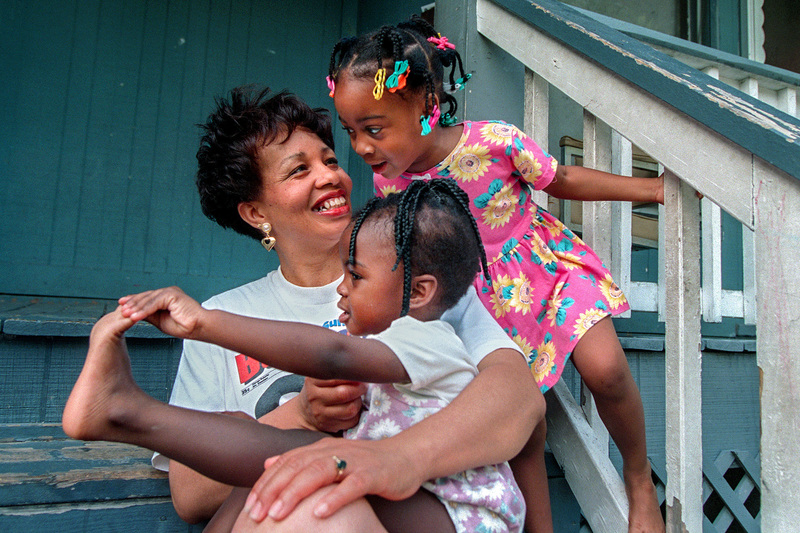 Grandmother and legal guardian Mildred Sanders, 40, plays with grandkids Cashena Cook, 2, on her lap, and Sierra Cook, 4, at their Peoria rental home. 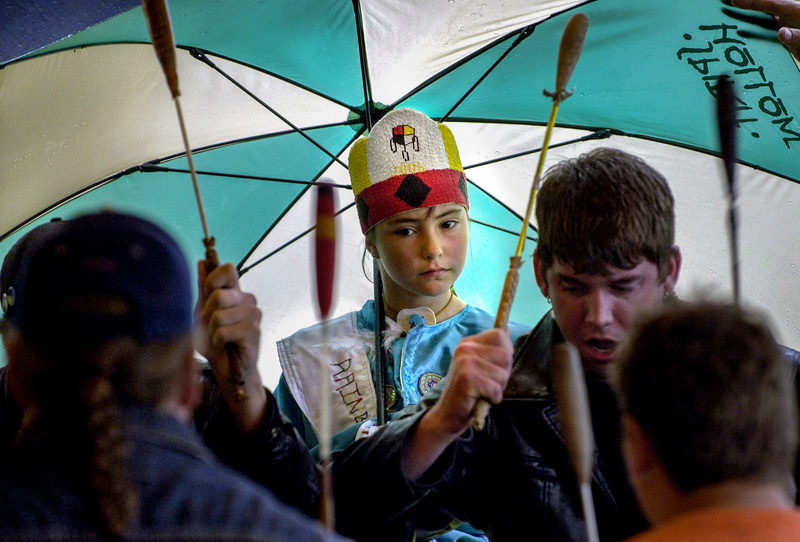 Wind River, 9, of the Wind River Reservation in Wyoming, watches the Eagle Ridge Singers at the Return to Pimiteoui Intertribal Pow Wow in Edwards. 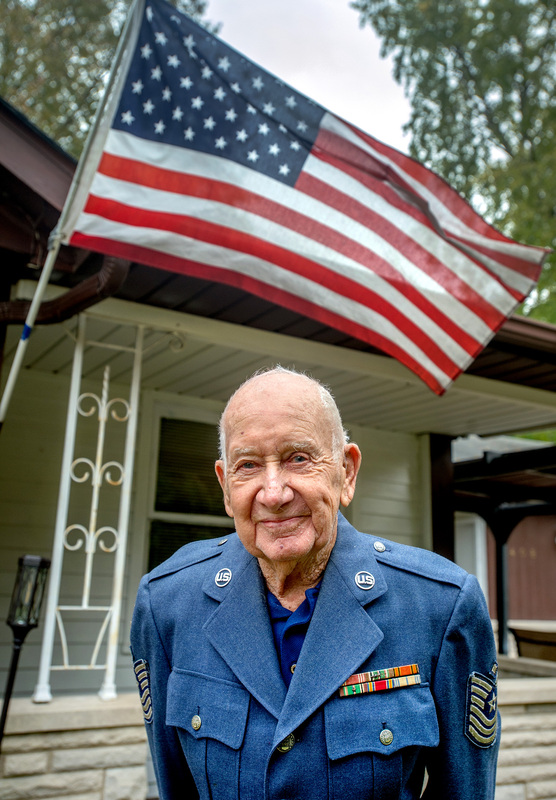 The flag flies high above Gene Neeley, 93, a WWII veteran from Tremont. 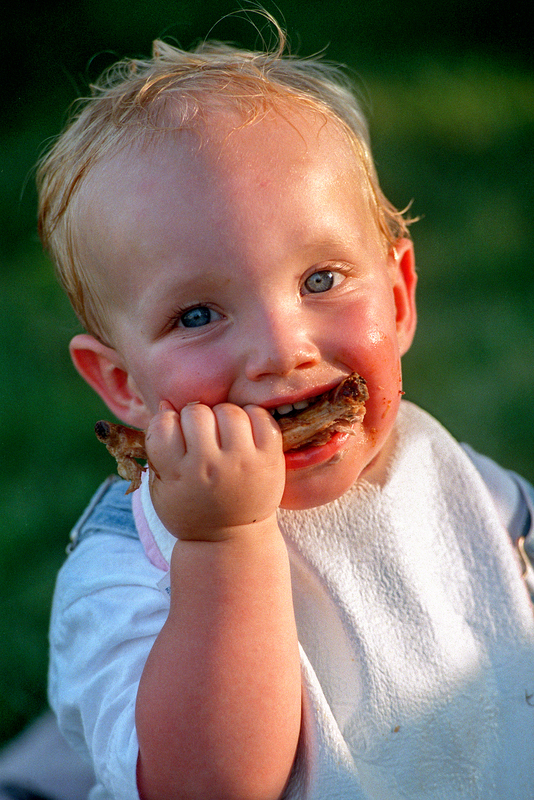 A toddler gnaws on a rib bone during the Peoria RibFest on the Peoria riverfront. Julie Helm, right, shares words of encouragement with Amy Griffis just before her baptism during the Bridgeway Community Church Party in the Park in Morton.